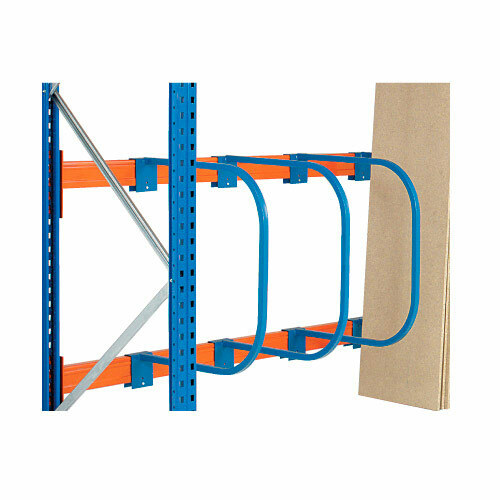 Ideal for the storage of boards, sheet, panels & tube in the warehouse & factory. This racking system is widely used in the motor trade for the efficient storage of parts including car body panels, windscreens, and exhausts. 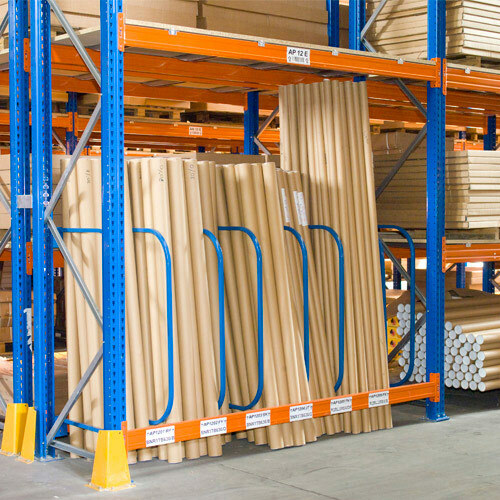 Incorporated within standard pallet racking bays the D bar supports locate onto the rear beams of the racking segregating parts. The D bars are available in two heights to accommodate varying sizes of stock and can be easily adjusted to form different width compartments.